Furnished bedroom (tv, mini-fridge,double bed ect) must love animals. 2 full bathrooms huge yard with fruit trees. 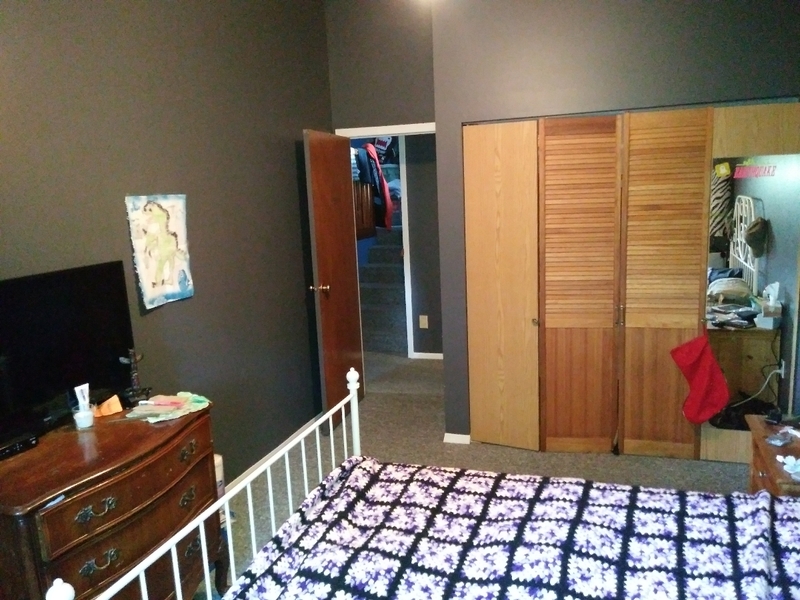 10min walk to skytrain close to shopping. Large living room.